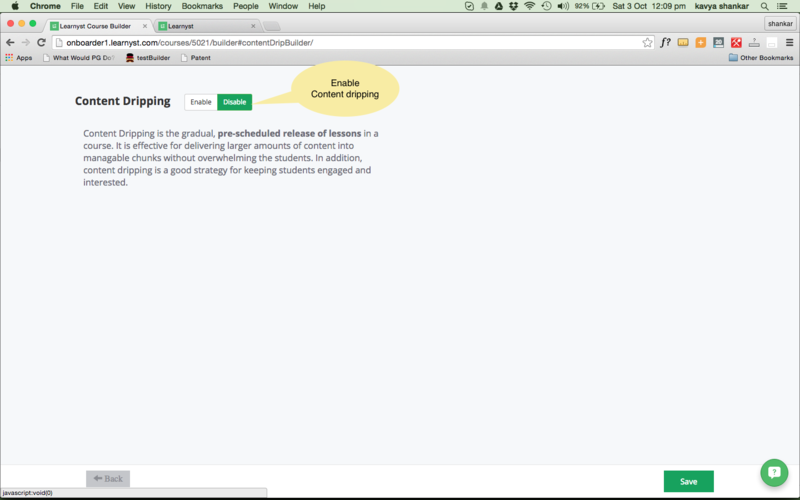 Content Dripping is the gradual, pre-scheduled release of lessons in a course. It is effective for delivering larger amounts of content into manageable chunks without overwhelming the students. In addition, content dripping is a good strategy for keeping students engaged and interested. 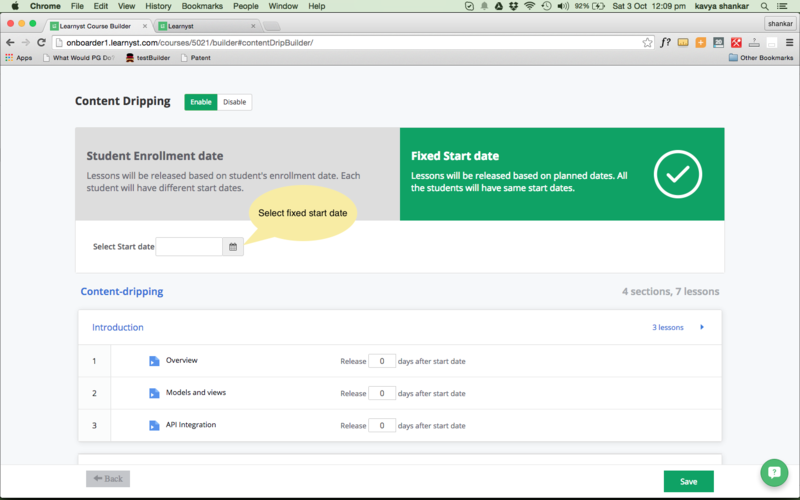 For choosing content dripping start date choose either Student enrollment date or Fixed start date. 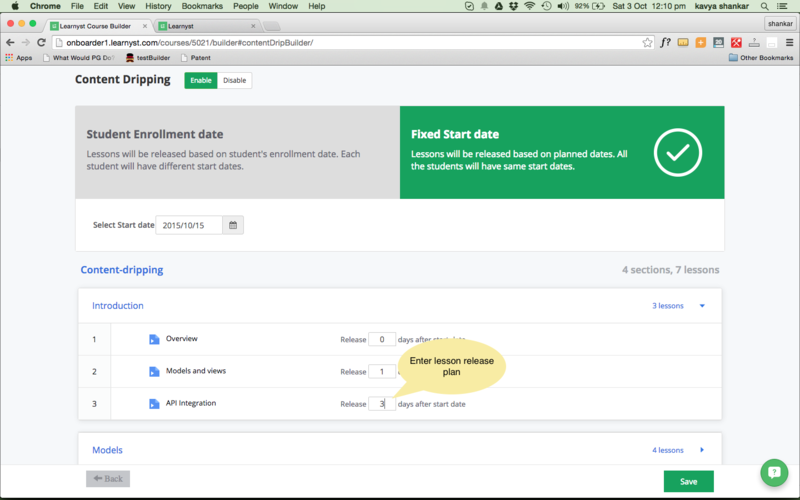 In Student enrollment date the courses will start from student signup date. For example if student joins on 20th Oct, the lessons will be released taking 20th Oct as start date. In Fixed start date the courses will start from fixed date. For example if fixed date is 15th Oct, then the student lessons will start releasing on 15th Oct no matter when they join. 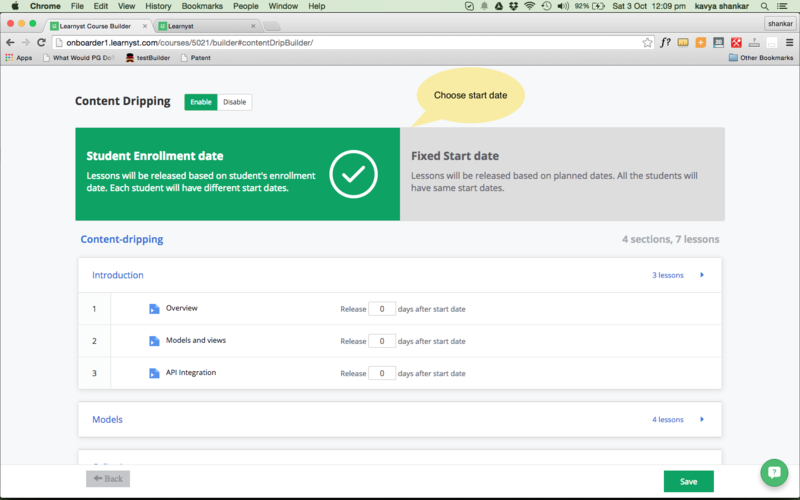 After choosing the start date, enter your lesson release dates. 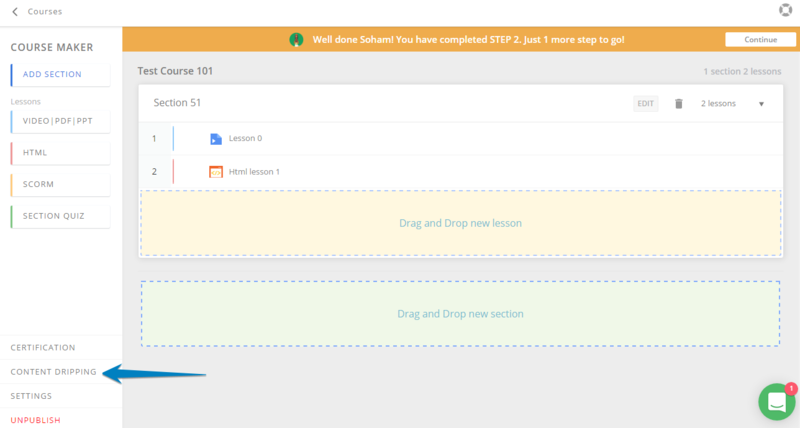 The dates are relative to start date, so that you can modify your start date and keep lesson release plan as is. That's all for now. Happy teaching!